Call 252-562-0182 to schedule your first appointment. Are you searching for high-quality hearing aids in Morehead City, NC? When you visit Miracle-Ear®, you'll get the benefit of personalized service and the latest technology in the industry. We're an independently owned and operated center that's focused on finding effective hearing solutions using a wide range of hearing aids. When it comes to hearing loss, advances in technology have offered amazing solutions. Hearing aids with our GENIUS™ Technology include a wide range of high-tech features that allow customers to hear with unprecedented detail and clarity. Wireless Windscreen improves speech intelligibility by eliminating wind sound, and GENIUScontrol App gives users the power to individualize their settings through their smartphones. Once you've chosen the right hearing solution, you can come back to us at any time for a checkup or an adjustment. We'll change your battery, clean your hearing aid, and make sure everything is working properly at any one of our 1300 locations nationwide. When you discover what Miracle-Ear has to offer, you'll wonder how you ever experienced anything else. We're a hearing aid center that's proud to help its customers hear the sounds they love again. Our goal will be to help you live a happier and more confident life. All of our hearing aids come with a warranty**, and you'll get outstanding service from us. If you're having trouble hearing and you live in Morehead City or a surrounding area, please give our location a call today to set up an appointment. Nancy Domanski began her career in Hearing Healthcare as a Patient Care Coordinator in Morehead City. She has strong customer service skills. "In that position, I witnessed the impact better hearing could make in someone's life. I sincerely enjoyed being a part of that process." When the Hearing Aid Specialist position became available, it was a natural step for Nancy. After all, they were already her patients. 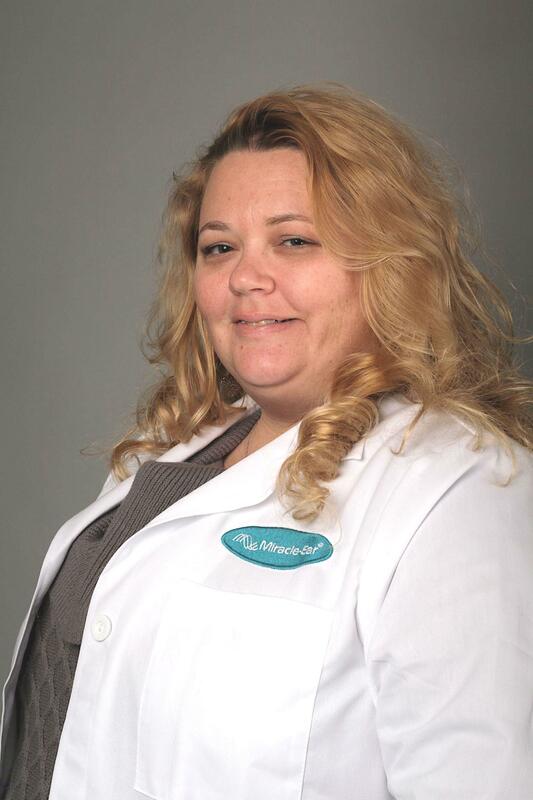 Now, she says "as a Hearing Aid Specialist, I can do even more to help others reconnect with family and live a fuller, more satisfying life through better hearing." Nancy is involved in the Morehead City and Kinston communities. She is an active member of the Chamber of Commerce and participates in many Chamber activities. Nancy fulfills her passion for helping by visiting area assisted living institutions. In addition to providing routine maintenance of Hearing Instruments for patients that have difficulties traveling, Nancy also conducts complete Hearing Evaluations on site. Nancy attends health fairs at local senior centers and churches as well. "I take great pleasure in spreading the word about Hearing Health and the difference hearing instruments can make to someone's life." Nancy invites you to make an appointment now and learn about hearing health and what it can mean to you and your family. 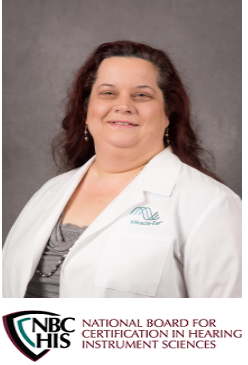 Prior to becoming the Patient Care Coordinator for the Miracle-Ear office in Morehead City, Stephanie worked in Civil Service for years as a Production Controller in Logistics. Stephanie has a Business Administration Degree with a medical concentration. She says, "I have always been interested in the medical field and helping others. I love my job and enjoy helping our patients. I feel very fortunate to have been given this opportunity to use my gifts to help others." Stephanie is from the Morehead City area, and has lived on the Crystal Coast her whole life. She has two wonderful teenagers that keep her very busy. When she is not working, Stephanie loves gardening, reading, and spending time with her family at the beach. She is also active in her church.